The Dash Point Pirate can be seen here with his newest creation.....the Shooting Star! Great job, Andrew! I am feeling a little boat envy! Andrew Elizaga is a fellow blogger who's site is full of great info. 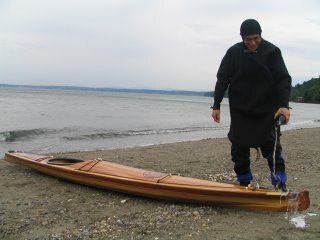 I enjoy his articles and thoughts on traditional kayaking.